Welcome to the Clockarium, Museum of the Art Deco Ceramic Clock in Brussels. 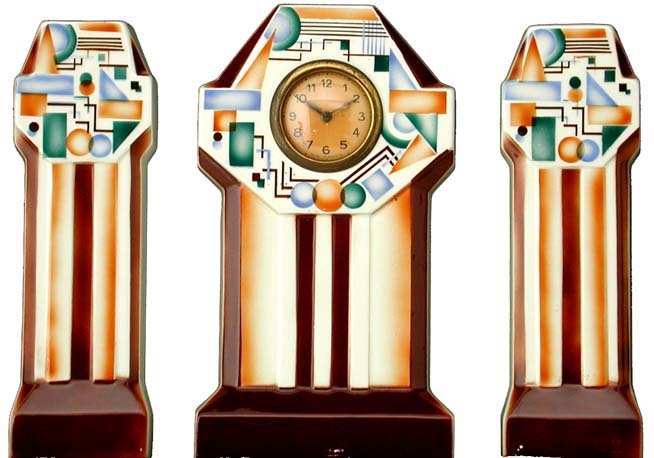 It specializes in the Art Deco faience clock which was the first timepiece affordable to everyone. During the 1920s and '30s, it proudly decorated every common home in Belgium and Northern France. 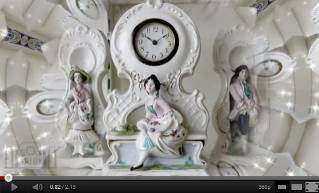 An unstoppable craze, this fashion gave rise to millions of amazing ceramic clocks, in a huge variety of shapes, styles, and decorations. Our Belgian museum displays more than a thousand mantel clocks in a stylish Art Deco house at the entrance to Brussels. enjoy the charming beauty and exceptional creativity of this amazing decorative art. It will be a delightful journey in time and imagination! Open on Sundays except Belgian school holidays for a guided visit in French starting at 3:05 pm sharp. Guided visit on Sundays at 3:05 pm except school holidays. Private visits in English on request. The Museum can be rented for receptions and seminars. Our English website is not complete. Kindly consult our French website for more information.